I've been longing for the return of this classic trend so long, up-to be forgotten (in fact that I was so carried away with all the 'pastels-neon' battle of the trend this Spring) until I found them, displayed and clearly seen everywhere, all over the stores. Not a classy one or the edgy one, I rather wear a casual BW outfit. Too casual, not to mention my "holiday" tee (too obvious to expose my holiday spirit), 'coz I'm so ready for holiday! I'm going on holiday abroad in 4 days and I can't tell how thrilled I am right now! Sadly, I won't be able to write for about 2 weeks that I won't bring my laptop with me. THEREFORE, I'm thinking of inviting 1 or 2 guest bloggers while I'm on a trip! Interested? You are?! Then why don't you tell me and we'll work together! Email me or leave your comments here ;) I'm waiting! Love your look! 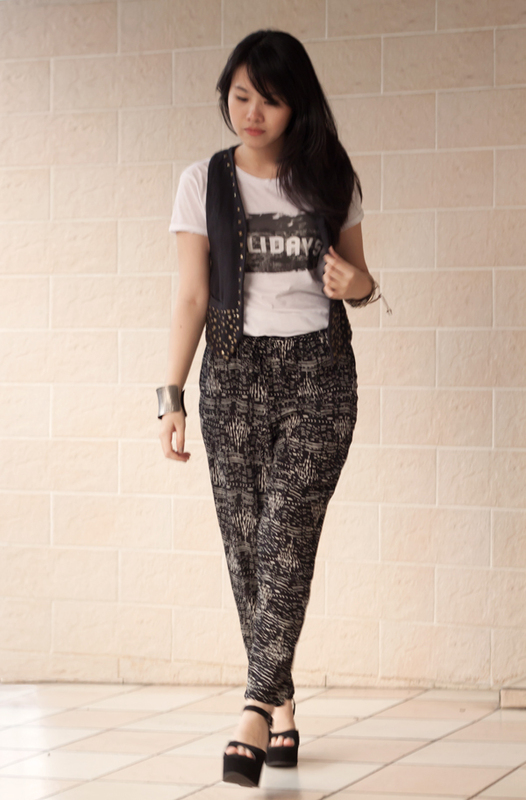 Great pants and edgy combo--so chic! Kristel those pants and shoe are awesome! I'm loving your trousers! It look so good with that top! The pants is such a statement! Love your shoes! Amazing combination! Simple and outstanding! 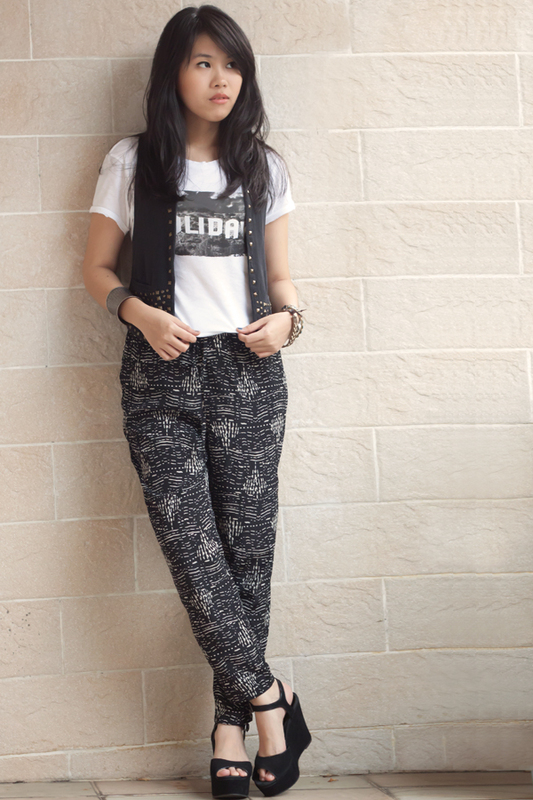 Love your vest with studs - it makes that all outfit looks a little bit more cooler! great outfit with a lot of attitude, love you holiday photos on top. Come on by, maybe we can follow each other?